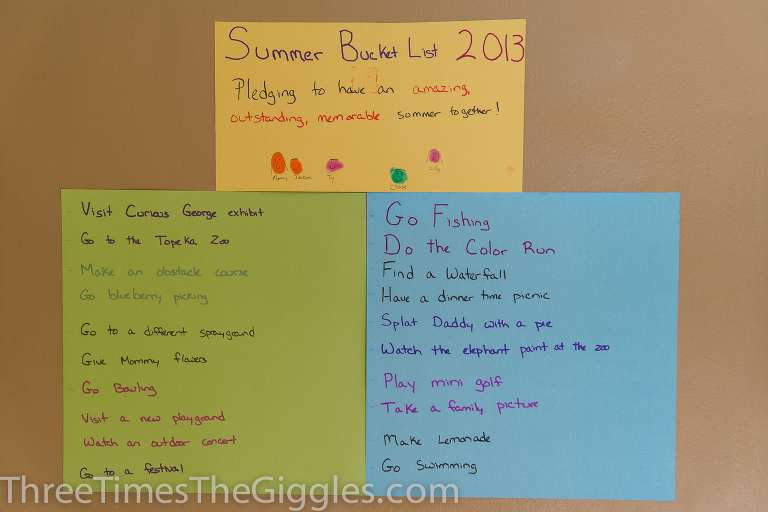 It’s Summer Bucket List time again! We actually wrote down our list a couple of weeks ago, but I just today got around to putting it up on our wall. We’ve even checked off an item already, which will be up on the blog tomorrow! You’ll notice our list is only 20 items this year (versus 31 like last year); our summer is a few weeks shorter this year, thanks to a much earlier school start for the boys this year! Plus, we ended up not squeezing everything in last summer, which bummed the boys out, and I didn’t want that to happen again. This seems much more manageable to me! Do you have a Summer Bucket List? If not, get on it! There’s still lots of summer left!